Succulents are survivors, it's part of what makes me like them so much. You pull a piece off them and they don't die, they multiply. 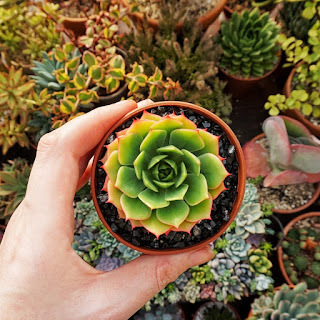 I make it sound so simple and it really is, read these few tips and you will be well on your way to being a succulent hoarder. First things first, you have to get your leaf. Gently tug or twist off a leaf making sure you have the whole thing. 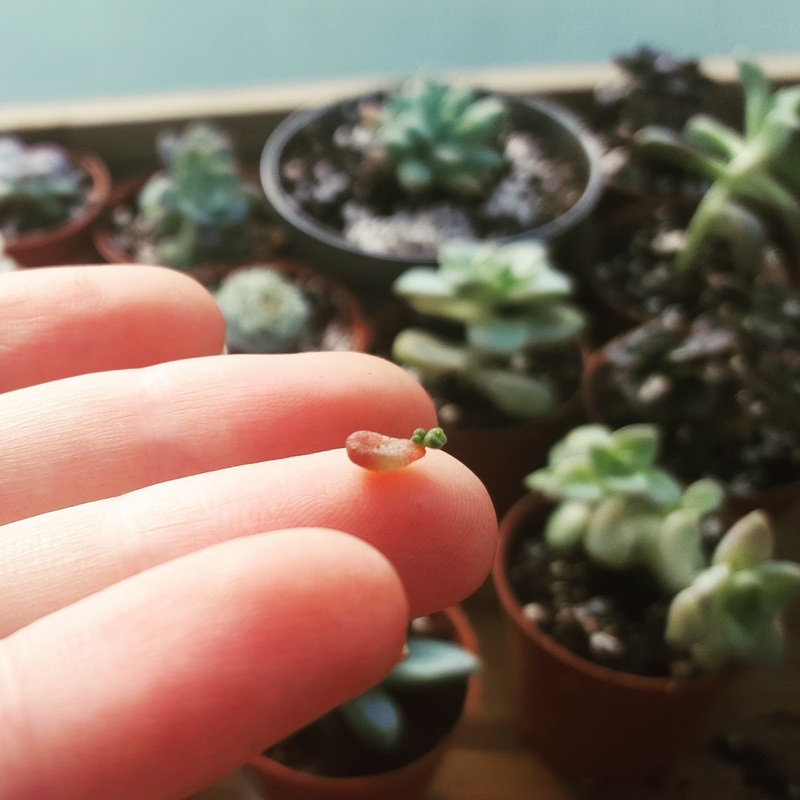 It is important that you don't break off the end of the leaf. Now it is just a waiting game. Lay your leaves on dry soil and wait for little roots or babies to appear. Once you have roots you can start watering but it really isn't very necessary at this point, the baby mostly takes all the moisture and nutrients it needs from the mother leaf. If you do decide to water then only water when the soil is dry. If you see the roots drying up a little then it is a good idea to water at that point, the roots should be a lovely healthy pink or white colour. 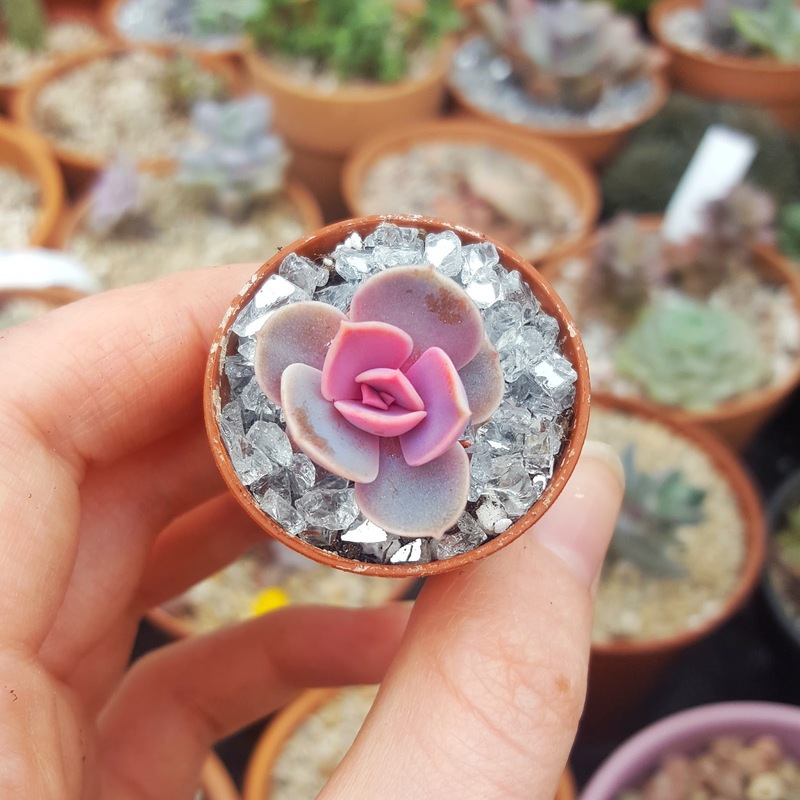 Apart from watering you just let them do their thing until the mother leaf dries up and becomes crispy, then you can remove it by gently tugging or twisting. 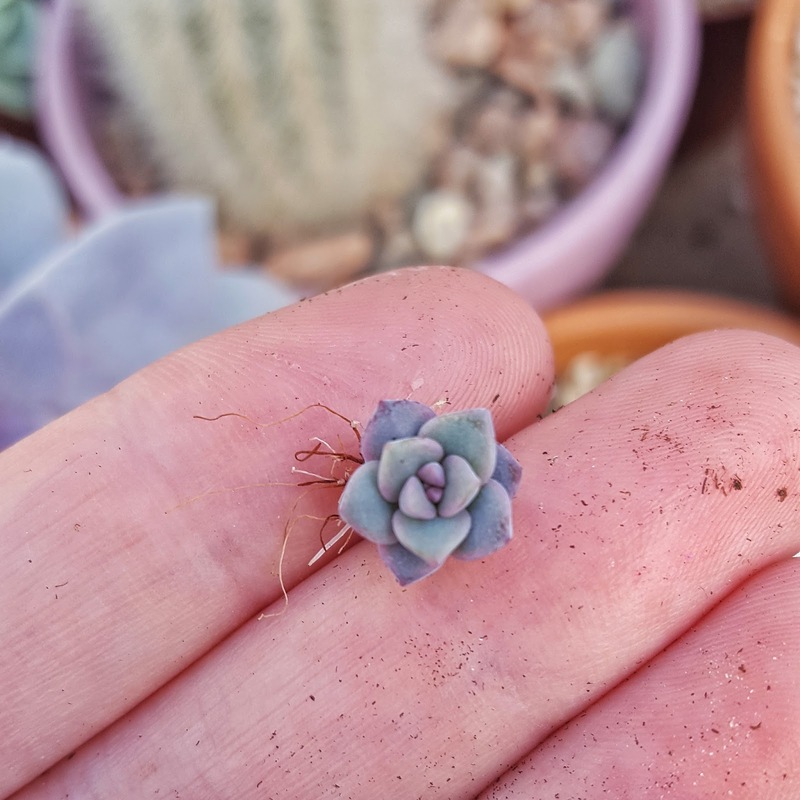 And there you have it lovely little succulent babies. 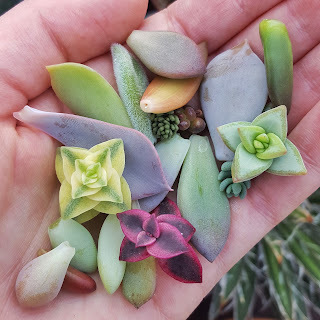 At this point you can pot them up in their own little pots and treat them like you would any adult succulent. If you would like some leaves to try it out for myself you can find some in my webstore here.